Today’s world of business definitely needs young entrepreneurs who are going to bring new ideas into the field, create jobs, easily get familiarized with modern tech, and make up a fierce competition. However, no one says that this is easy, and one of the biggest problems you need to face at the beginning is the matter of finances. As a young entrepreneur, one thing that you certainly lack is experience. 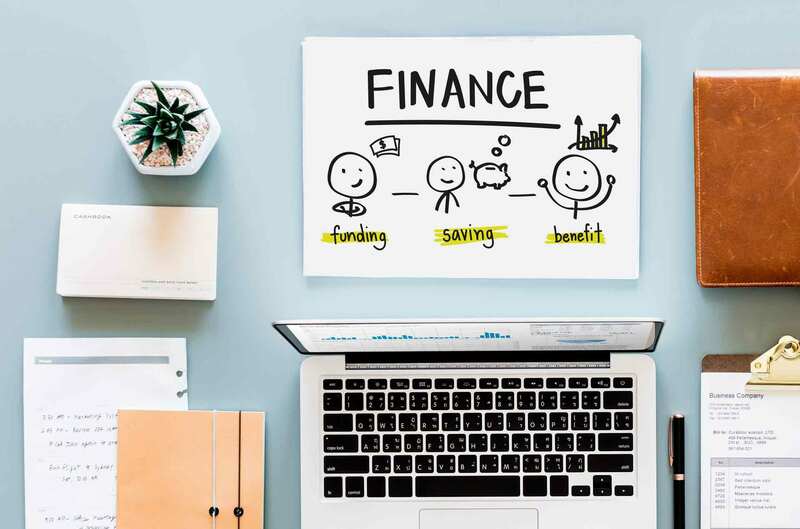 Just jumping into the world of finances without any research whatsoever is a certain way for your business to spiral down into bankruptcy and debt. There is a wide variety of ways that you can get your business idea financed, but each of them requires a knowledgeable approach. In this article, we are going to discuss 5 great ways that you can finance your business ideas, and how to do it properly. For starters, if you don’t want to deal with the whole business of finding lenders, passing their screenings, and getting them to trust and like your idea, you can decide to turn to your closest ones. Your family and friends might be able to provide you with the funds that you need to bring your idea to life, and in this case, you don’t even need to have a complete business plan up and ready. So, the good thing in this case, as opposed to more or less traditional lenders is that you don’t need to have financial evidence to prove that you are capable to carry the idea through. You have two choices – you can sell an equity stake, or decide to take a loan from your family member/friend. It is essential that you are careful, because you don’t want to ruin an important relationship by mixing it with money that you might not be able to pay back. A lot of people today go for the option of crowdfunding. It’s based on gathering a community that is interested in your business idea to support you financially. You use one of the famous crowdfunding websites, such as Kickstarter, and basically call out for help. In return for the money that people invest in your project, you need to reward them appropriately. Every crowdfunding website has its own set of policies and guidelines, but the core is pretty much the same. For starters, you’ve got your business idea. Then you set a certain fundraising goal as well as the deadline for when it needs to be met. People see your crowdfunding page and decide whether they want to help you out. Peer-to-peer fundraising is a lot like crowdfunding, due to it also being based on the idea of finding people who are interesting in investing in your business idea and seeing it come to life. The big difference, though, is that, instead of focusing on gathering a community that is going to support your cause, you decide to find a particular individual that is going to do the fundraising part on your behalf. The great thing about this approach is that you will be able to boost existing relationships, multiply your resources and impact, and grow awareness organically. From a long-term point of view, you can gather finances for your business ideas by saving money in particular areas. For example, you can go green like many companies do, and save cash thanks to energy-efficiency. Go for high-quality LED products. If you didn’t know, LED lights use up a lot less energy than regular ones. You should also focus on using open source and cloud-based software for your needs. Sourceforge offers a whole lot of options for people on a budget. For emails, you already have some of the best free email service providers in the world. For a young business, you really don’t need really expensive programs and servers. Your main idea is to get your business on its two feet, and finance the idea that is going to put yourself amongst the competition in the area. Advertising can also be an expensive venture, so it would be smart for you to work together with another local business that you are on good terms with. We all know that social media channels are on fire, and the people behind those websites have also thought about you and your needs to find financial help. For example, the great giant that is Facebook has a personal fundraising feature of its own. Furthermore, you can decide to go for social media website like Steemit which work in the way that that pay for every upvote that a post or a comment receives. Basically, there is a variety of ways that you can fund your business ideas, and it all depends on which one is the best for your particular industry and niche. As we have ascertained in this article, it is important that you do your research, and not rush into any options without knowing exactly what you are doing. After all, you want to finance your business idea in order to see it thrive and help you start a company of your own, not watch it skyrocket at first and then crash in flames, leaving you in debt.